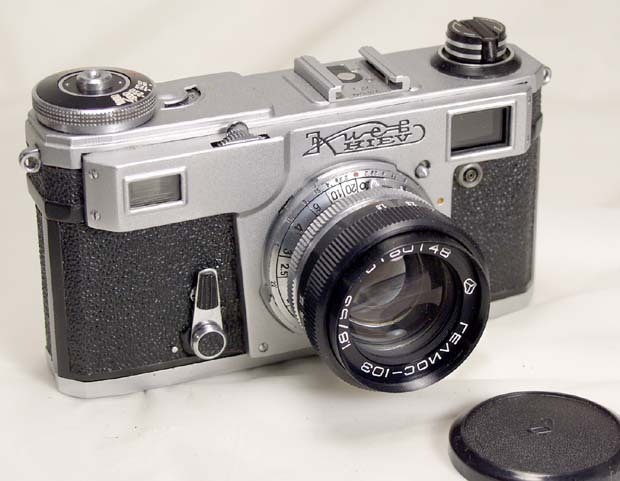 The Moskva-5 (MOCKBA-5 in Russian) is the most advanced Russian clone of the Zeiss Super Ikonta C. It supports both 6x9 and 6x6 formats on 120 film. The camera has two red windows in the back cover (6x9 and 6x6), the viewfinder can be set for either format as well. A special format reducer is required for the 6x6 frame size. This uncommon accessory is not included, but can be easily made from two paper or metal strips installed in the film window. Shutter: Moment-24S (the S is for the flash Sync), the speeds are B, 1 - 1/250s. 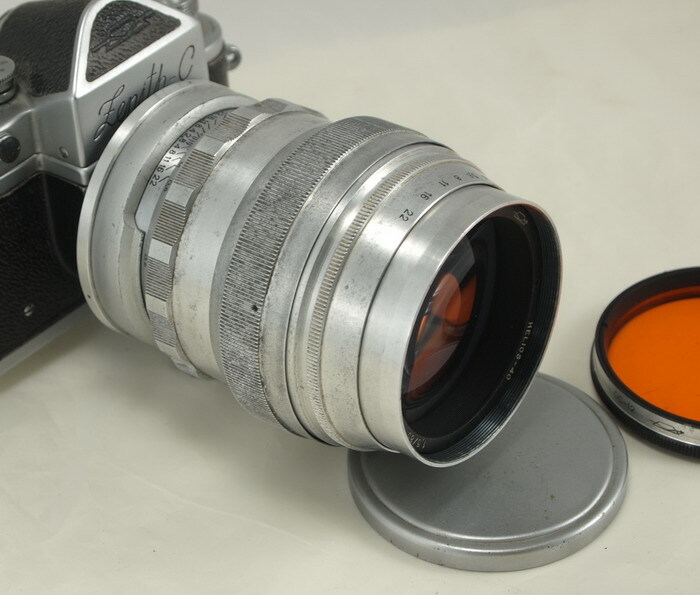 Lens: Industar-24, F=10.5cm, 1:3.5, coated. 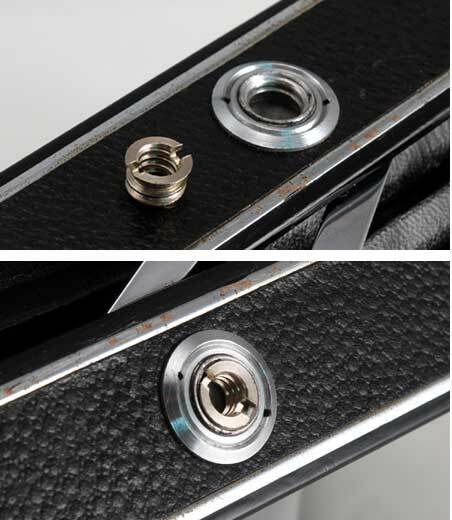 This 4-element lens is capable of producing sharp and contrasty images. Both rangefinder and viewfinder are built into the streamlined cast top cover. This camera was made in 1959 by the KMZ plant. It is in GOOD condition, shows some use, fully functional. The camera comes with the original eveready case. This is a very capable user and a great collectible. 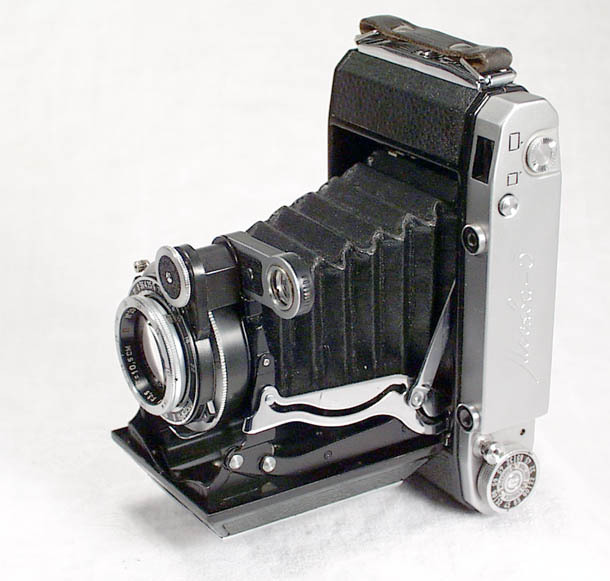 Back in the late 50's and through the 70's, the Moskva-5 was an expensive high class camera used mostly by the professional photographers. You could always find a photographer with a tripod mounted Moskva at many tourist attractions. It was mostly used for group portraits, when a high magnification of the negative was needed . Bought a Moskva-5 from Fedka. I had been hesitating to buy o ..